Okay! Check it out guys! I’m gettin’ my craft on! *jiggity jig* So this DIY Burlap Wreath was seriously so EASY to make and I think it turned out pretty good! Granted, I wish I had a darker door, because I think darker is classier. (Someday I’ll have a home of my very own and you can bet that door will be a dark color. ;-)) Anyway, Tangent over. Let’s get to the tutorial! but if you want your wreath smaller I’m sure it’s even cheaper than that. I got this kind, also from Hobby Lobby. Except because my wreath was so big, I went through 3 1/2 rolls of it! I later found this deal on Amazon and that’s definitely what I’m doing next time to save on money. I also recommend using 4 inch width so you don’t have to fold it over. 4. Any flourishes you want to add on after! 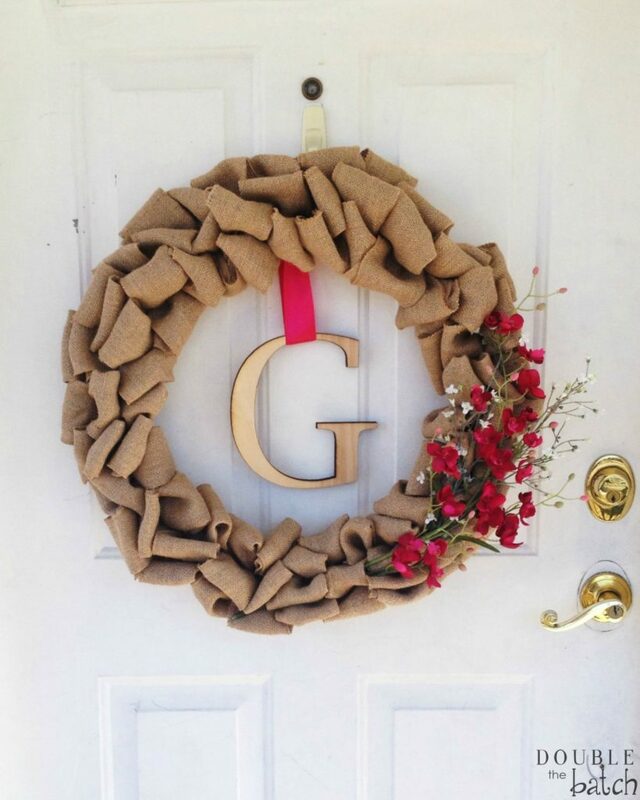 Step 1: Thread your burlap through the first space of the wreath. Step 2: With your floral wire, secure down that first loop to the wire of the wreath. 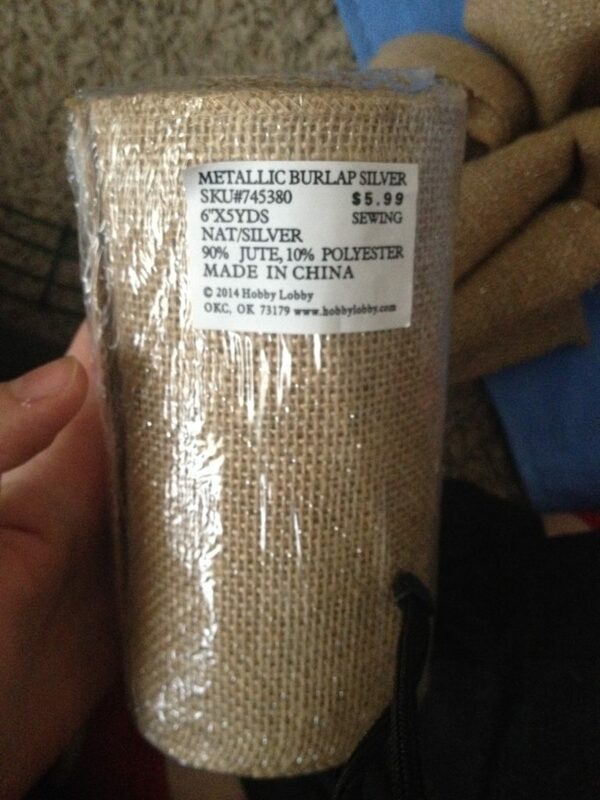 Step 3: Pull the burlap through each of the spaces to make your loops. Finally: Add whatever decorations you want on it and secure it down with wire. I’ve noticed some people wire down their decorations *before* they finish burlaping but not only was that too complicated for me but I also wanted to be able to easily remove the decorations and replace them with different ones according to each holiday. And there you have it! A not-so-bland looking door anymore!